We skipped out of last years Festival and off to a Ledger wedding. This year we're back. Not just three out of four Ledgers (JMcG assures us that next year he'll be joining us) but a whole host of tweeters and assorted others. The Kings of Leon will undoubtedly be a big deal on the Friday, but I'm also looking forward to Band of Horses and We Are Scientists. Saturday we go old school with Pulp and then the Foos will play my favourite song ever. I will probably get all dewy eyed and claim that my eyeball has stumbled into some lint. Sunday we get Kasabian. They're pretty cool live, they were at Festival four years ago, but hopefully we'll leg it from there a bit early and bugger off to the Big Top for the Manics. To be honest there's so many of us going that no matter who wants to see whom there will be someone to go with. Isle of Wight Festival has grown so much over the last ten years. From it's humble beginnings as a one day affair to a fully fledged three day festival attracting some of the biggest acts in the world. 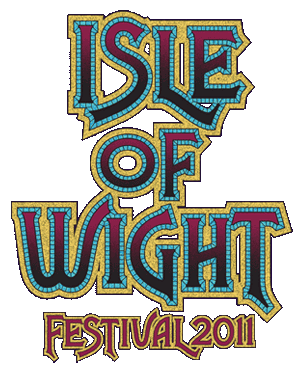 Those great IOW Festivals of the 70s will never be lived up to of course but it's found its place on the calendar along with Bestival and despite the odd voice of dissension from the 'odd' Islander it keeps coming back every year. My best ever gig might have been the Foos at Wembley a few years back but my best ever moment at a gig was REM at IOW Festival playing Everybody Hurts as the sun went down. Magical. I'll try and update on here as and when I can. It might just be the odd pic but I will, along with most of the others I'm with, be tweeting throughout, rain or shine. If you're going and we're not aware please either let myself or @comedyfish know.